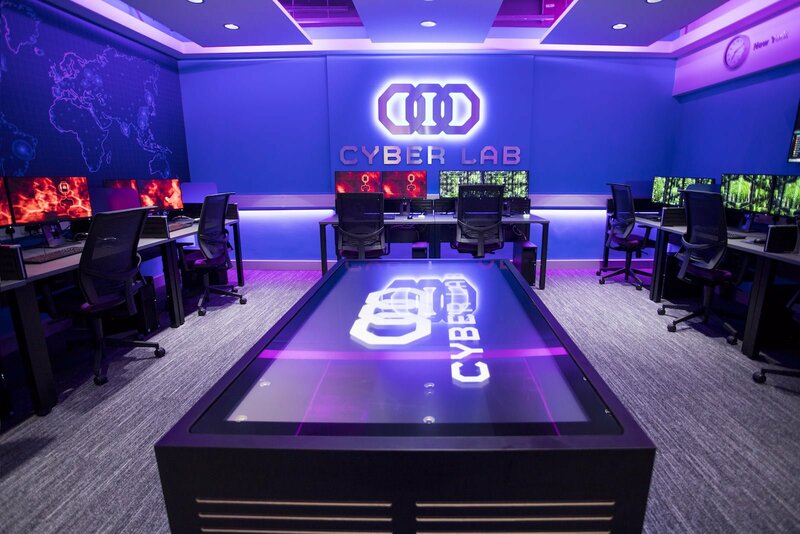 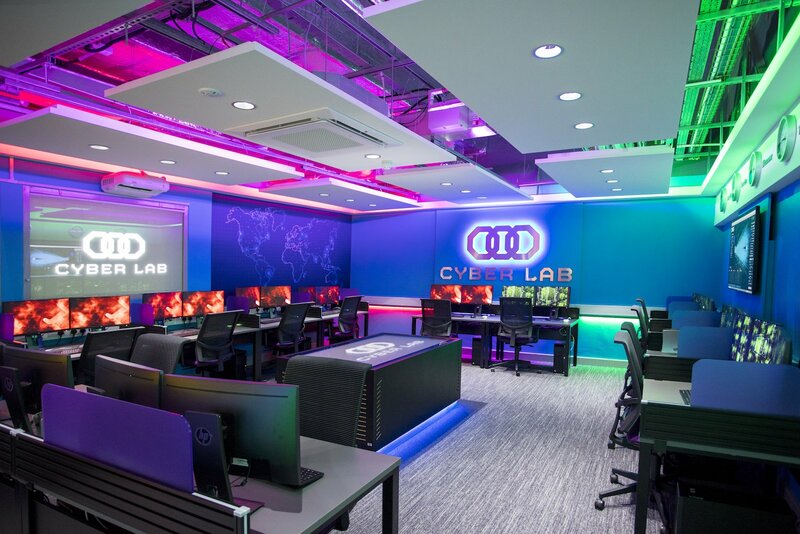 Working with audio visual specialists Pure AV Ltd., njo designed and manufactured and RGBW LED lighting solution for a cyber security training facility - Energus Cyberlab. 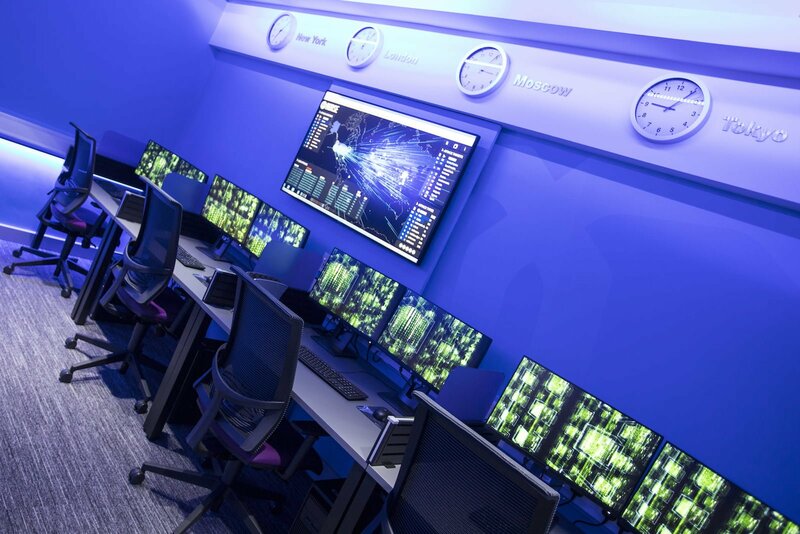 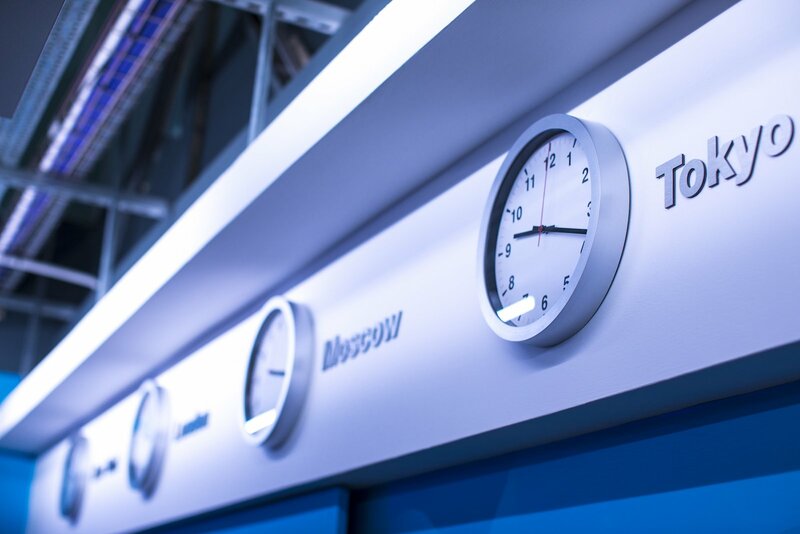 Designed to respond to the training exercise,The tutor has the ability to change the look, feel and atmosphere of the room at the touch of a button. 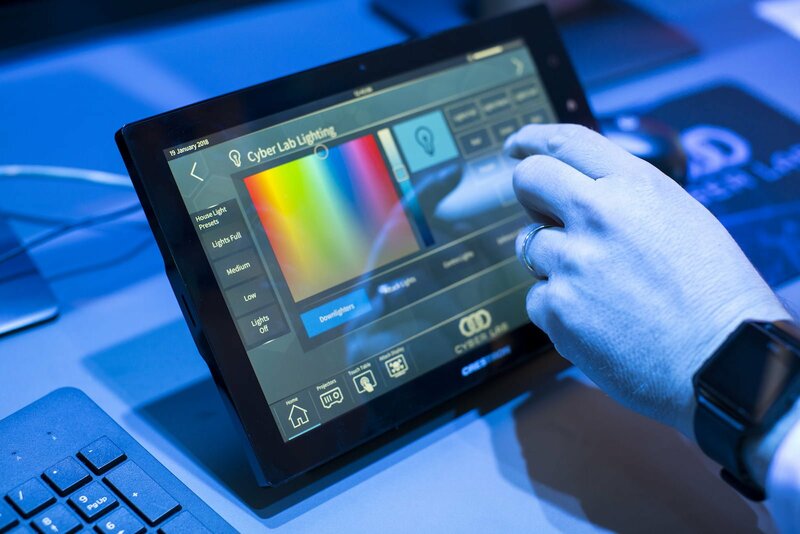 The innovative system makes it possible for the room colour to be altered in response to the activity taking place. 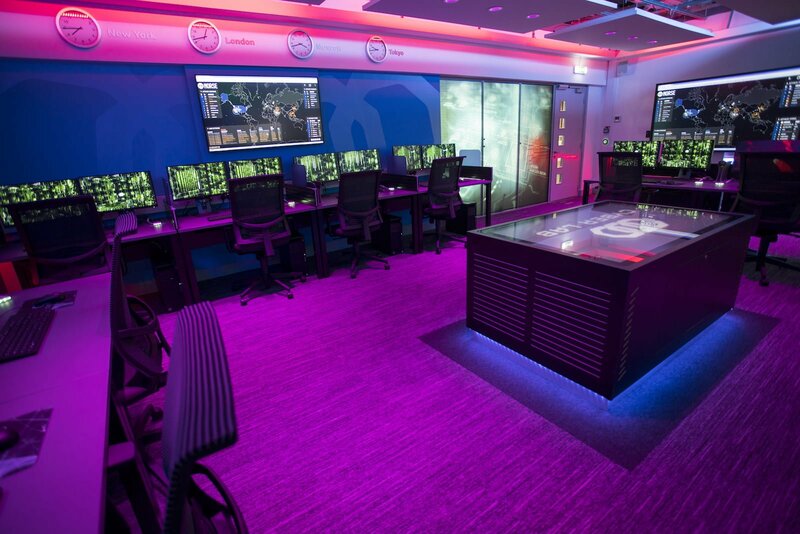 The space can turn red during a cyber-attack and then gradually change from red to green as the attack is defended, all controlled from the main user interface.